After wearing it for some time now (in really small and carefully applied quantities), I think it’s time to tell you what I think of it. The Bal’s turn has finally come. OK, the notes are here but I don’t know where to start. First, I want to warn you to try it sparsely for the first time because this is one serious sillage monster. The other day I put 2 small sprays on and put another sample on my wrist but that was no use, I couldn’t smell what was on my wrist. I think this is the most heavy sillage perfume I own. I’m not much into sillage usually but I can live with this one. I have quite a lot of notes on it, but the thing is, it still sort of escapes words. It has many faces, and I think I will keep discovering them. Yesterday for example, the opening reminded me of cotton candy, in a good way. It starts citrusy fresh but not in any cologne manner, I think the flowers subdue that citrusness and it’s just this strong, slightly sharp, floraly-sweet, happy and spring-like scent. And this is not even close to describing how it smells. By now I’m used to that sharpness , it used to scare me because I associate that with musks that get stuck in my nose and won’t go away, but it never happens here. I do believe it is the musk-neroli combo that gives it this sharpishness but it’s really well done. As it progresses, I keep getting upset because it smells complete, I cannot make a not stand out. I realized that there was a juicyness hidden inside it and kept looking at notes trying to find a fruit. This is where google comes in handy – bucchu is some kind of a plant that smells of blackcurrants. Yes! Something finally appeared out of this ball. It really is a strange concoction, it’s fresh but not airy or light, it is sweet but not girly, it is serious but it is flirty as well. In the end, I smell the amber and musk but cannot access cedar. I know other people smell it but I just can’t. I think it cannot get through the amber and musk on me. I think what you are describing is the most interesting phenomenon in perfume: the scent that just won't be nailed down in your mind. It's my theory that something is "missing" and your nose keeps wanting to go back and back and back again to make the connection. I've been circling Bd'A for some time now– next time I'm in Barney's I must try it! I would be very hard pushed to describe this one either – it is the combo of citrus and violet which wrongfoots my nose I think – it is odd and unexpected. By Kilian's Prelude to Love goes to a similarly strange place with citrus and iris.I don't find this a sillage monster though – it is pretty soft on me, and I am usually the first to be overwhelmed by stronger scents. All in all, hats off for originality – this is one of my favourites of the line, for sure! LCN, I think what is missing is some more perfume knowledge on my part. ;)But it's true. 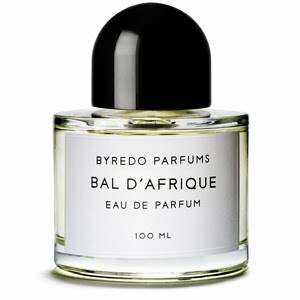 Sometimes there is so much going on in a perfume, it's like you smell a dance in there (hmmm, now that I think of it, ball is actually a pretty good name – it would be hard to describe what you are seeing, like it's for me what I'm smelling). Hi Ines, just reviewed this one. I can't smell any cedar in here either. I thought it smelled like vetiver. I definitely agree with you about the edible top notes: I kept looking for a fruit too. Left Coast Nose makes a good point too: none of the reviews I've read have really been able to pinpoint this one. It smells good, so I thought it deserved a review, but to me it's pretty much a great, boneless, pleasant thing that I can wear anytime. Joan I haven't worn this in ages, now I'll have to go and apply it. 🙂 It's great to learn I wasn't the only one having problems pinpointing it. I agree, it is rather wearable.